A former art gallery in Ramsgate is to go under the hammer at auction. Satis House at 11 Elms Avenue has a freehold guide price of £500-510,000. It was previously home to the UpDown gallery which was opened in November 2012. In 2016 an approval for change of use from an art gallery to a single residential dwelling was granted. 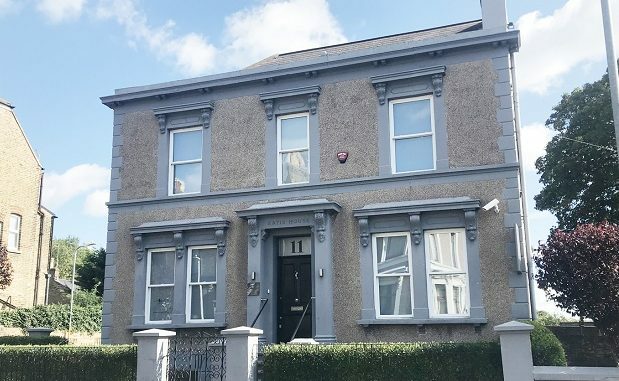 A further application was approved for the change of use and conversion of Satis House to provide four self-contained flats and for the construction of an additional detached three-bedroom dwelling to the side. It is among 131 lots listed for sale by Clive Emson, the land and property auctioneers, ahead of its next sale. The Christmas auction takes place on Tuesday 11 December at the Clive Emson Conference Centre, Kent County Showground, Detling, beginning at 11am.